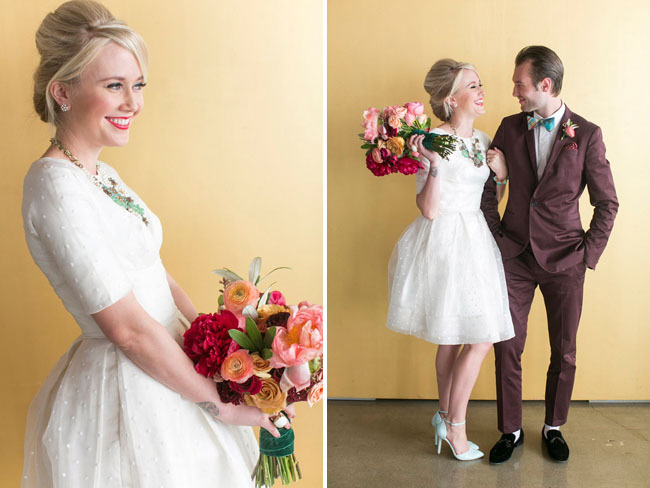 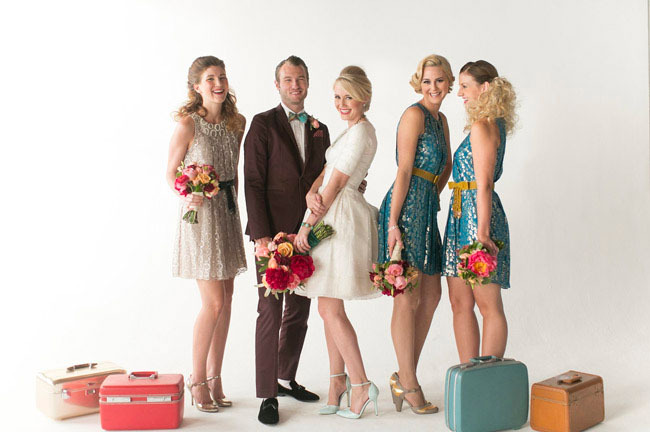 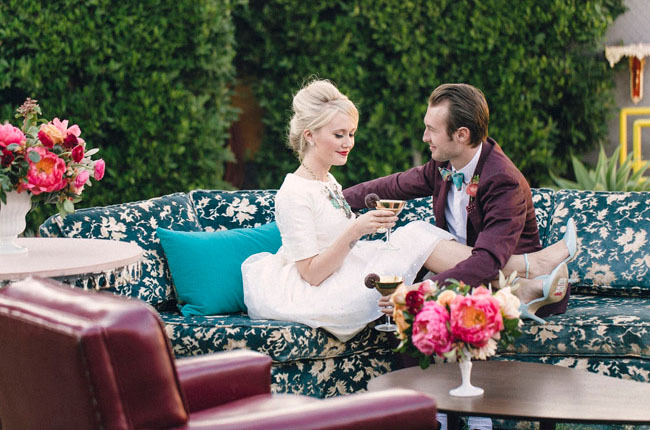 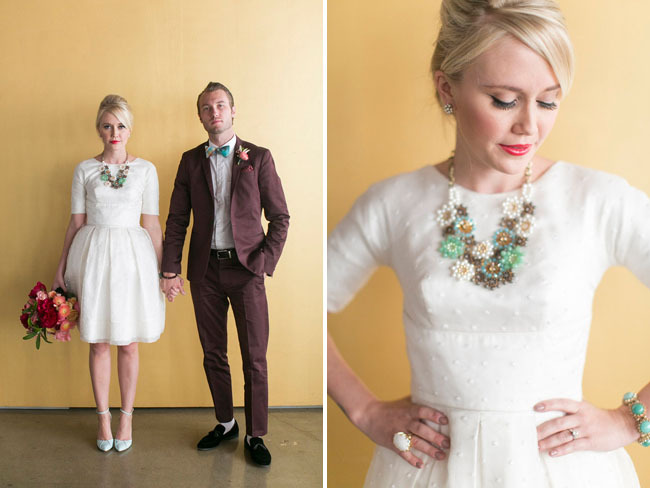 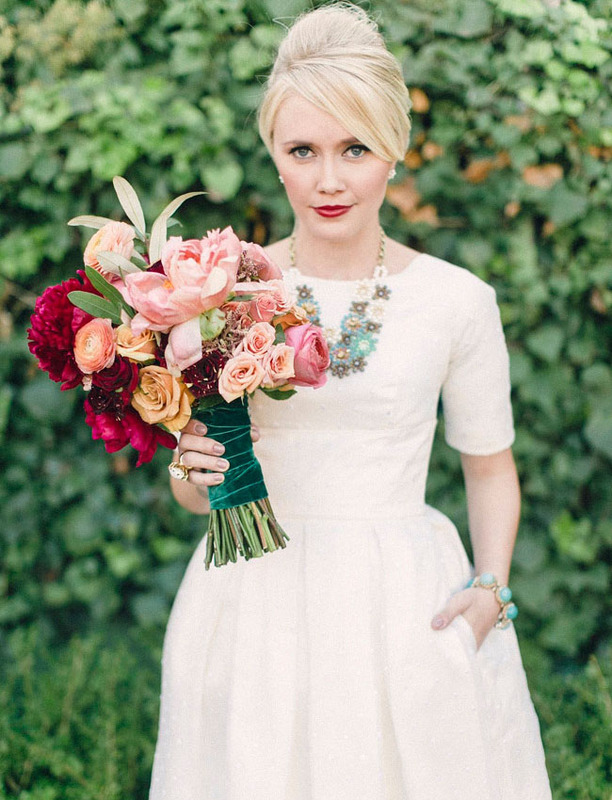 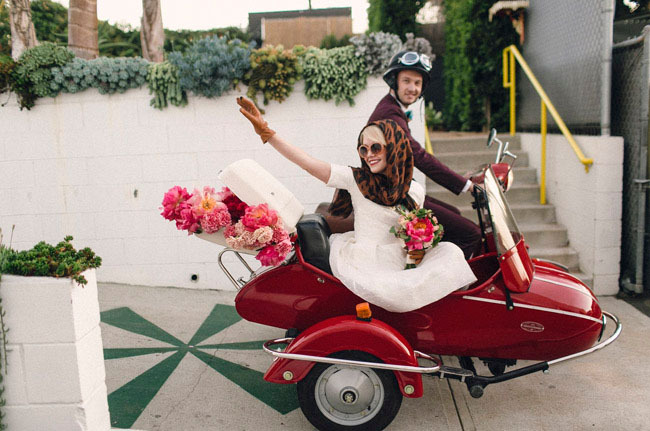 Event planner extraordinaire Amorology styled this funky fun retro photo shoot featuring our Fey gown! 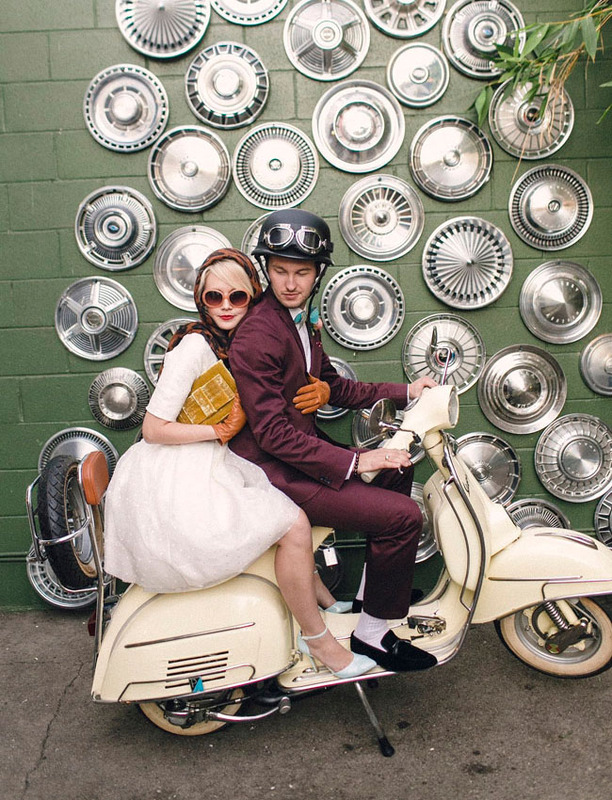 You have got to head over Green Wedding Shoes blog and check out this “Retro-Mod Moto Wedding Inspiration” for some truly unique wedding day ideas. 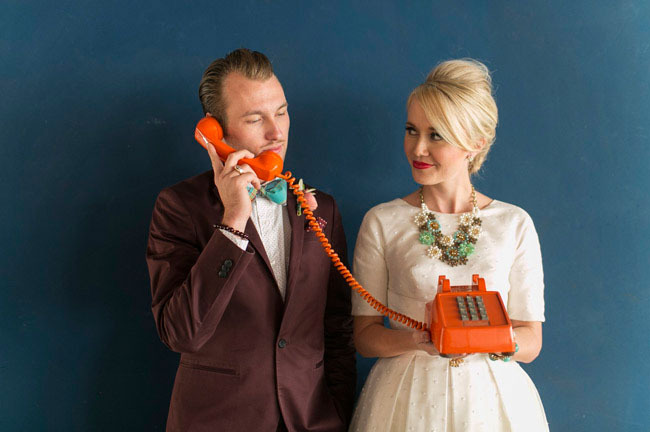 This shoot was photographed by the talented Jessica Claire.